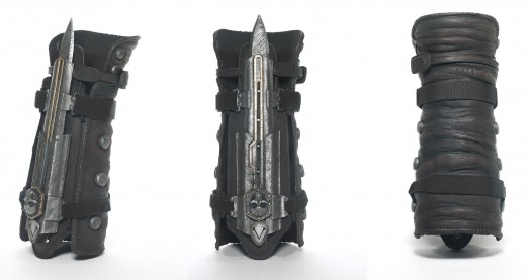 McFarlane Toys will produce hidden-blade gauntlets modeled after those seen in Ubisoft's Assassin's Creed series. This faux perforator, shipping this fall through GameStop for $40, is modeled after the signature weapon used by protagonist Edward Kenway in Assassin's Creed 4: Black Flag. "I think from a distance people will go 'Whoa, what is that?' When you press the spring it actually shoots out, like a blade should," artist Todd McFarlane told Kotaku, subtly undermining the self-esteem of blades that don't shoot out like a blade should. "Then you get to the end and realize you can curl the tip on it, so it's not going to do any real damage." Surprise your friends with the Assassin's Creed 4 hidden blade toy originally appeared on Joystiq on Fri, 31 May 2013 18:30:00 EST. Please see our terms for use of feeds. How do you fancy Plants Vs Zombies 2 having some sort of Mass Effect tie-in, or maybe a Dead Space one? Whether this is just a viral tease head of PvZ 2's full reveal at E3, or whether this is actually an indication that the next Plants Vs Zombies title will incorporate Mass Effect and Dead Spice-themed items in the game remains to be seen. Hopefully the latter though! Amazon Italy has posted a listing for Dragon Age III: Inquisition, implying that the game will be heading to the Xbox One. As of this news post, the listing has no pricing information and a placeholder release date of 1 January, 2020. This game was originally announced back in September. At the time the game was announced to be using the Frostbite 2 engine, a current-gen game engine. An employee resume later suggested the game had moved to the next generation of consoles, but EA has not confirmed this fact. Wolfenstein 3D is back on Xbox Live Arcade and PlayStation Network in North America after a brief absence, and is coming to PSN in Europe soon. You can snag id's seminal shooter for $5 on Xbox Live Arcade, PSN or Steam. Activision had originally published Wolfenstein 3D on consoles just a few weeks after Bethesda acquired id Software in 2009. Bethesda's Pete Hines told Joystiq the re-rating was a necessity for both the ESRB and console manufacturers. "No changes. Was originally published through Activision, so now that it's reverted back to us we have to jump through ESRB (ratings go to the publisher, they don't "follow" the game to a new publisher) and console hoops (game has to be "re-certed" by the new publisher)." A new entry in the series, Wolfenstein: The New Order, is currently in development at MachineGames, with a tentative launch window slated for later this year. Wolfenstein 3D returns to XBLA, PSN originally appeared on Joystiq on Fri, 31 May 2013 17:30:00 EST. Please see our terms for use of feeds. The story of 38 Studios as a video game developer is long over, but the financial fallout from its $75 million in taxpayer-backed loans continues in the state of Rhode Island. The Providence Journal reports two developments this week, as the state will shortly begin a public hearing process over the debacle and consider whether it will pay back the loan. House Oversight Committee Chairman Michael J. Marcello said the state will launch the hearing process shortly based on the "thousands of pages" of documents it received this week, in response to a public information request made over a month ago. The committee will focus on two issues: Did the state properly retain an independent, third party to monitor and assess 38 Studios' financial standing? And what happens if the state decides not to pay the loan, which amounts to nearly $113 million after interest. Governor Lincoln Chafee's administration believes the state, which has no legal necessity to pay the loan, does have a "moral obligation." Chafee's proposed state budget (which needs to be approved by July 1) does factor in an initial $2.5 million payment, with $12.5 million paid out over the next seven years. 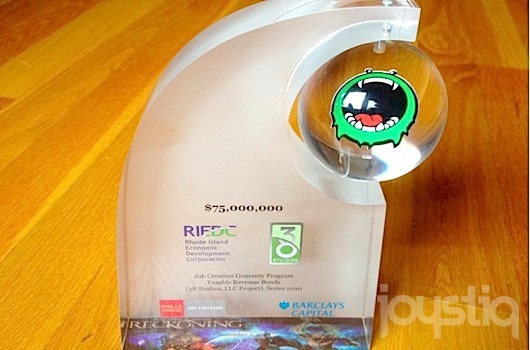 Rhode Island holding public hearings over 38 Studios, exploring loan default originally appeared on Joystiq on Fri, 31 May 2013 17:00:00 EST. Please see our terms for use of feeds. With E3 just around the corner, fans of Nintendo's Legend of Zelda series must be getting excited. Not only will there be news on the A Link to the Past sequel, but there will be a playable demo of Wind Waker's HD remake. To help encourage Wii U sales, Nintendo has been doing a pre-E3 tour that will continue through the event. During this tour, they have been traveling across America with presentations for some of their hottest and most anticipated games. At Disneyland, one of their most recent stops, The Wind Waker HD was highlighted through this beautiful poster seen below. The Wind Waker HD has a lot of fans excited, and it is nice to see Nintendo teasing those fans a bit before their big E3 festivities. We feel for Krieg, the recently introduced sixth vault hunter in Borderlands 2. His calm inner voice fights to be heard, while his psychotic outer voice screams things like "I'm the conductor of the poop train!" This short has its funny moments, but it's also quite sad. While Krieg's already available, Borderlands 2 is due another piece of DLC in the form of Tiny Tina's Assault on Dragon's Keep. That arrives on June 25 for 800 MSP/$10. 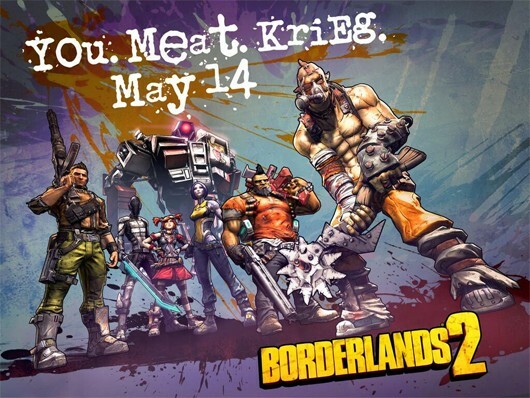 Borderlands 2 'Krieg' short is the shiniest meat bicycle originally appeared on Joystiq on Fri, 31 May 2013 09:00:00 EST. Please see our terms for use of feeds. 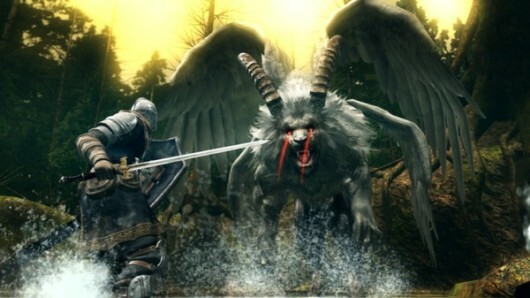 The word of the week on Xbox Live is "dark," evidently, as both DarkStalkers Resurrection and the Games on Demand version of Dark Souls are heavily discounted until June 4. You can pick up either game for $10. The marketplace also has Ghost Recon: Future Soldier for $15, along with some discounted DLC for the tactical shooter. We realize that one doesn't have "dark" in the title, but it does have "ghost." Both DarkStalkers and Dark Souls have ghosts in them, so it makes sense, see? PSN is running a DarkStalkers Resurrection deal of its own as well. Pick up Resurrection for $15 and you'll get a free download of the excellent Super Puzzle Fighter 2 Turbo HD Remix. PlayStation Plus members can get the same deal for only $10.49. This promotion also runs until June 4. DarkStalkers Resurrection and Dark Souls for $10 on Xbox Live this week originally appeared on Joystiq on Thu, 30 May 2013 23:59:00 EST. Please see our terms for use of feeds. Tokyo Game Show's annual tagline for 2013 is significantly less wacky when compared to those used in previous years, and we're kinda bummed out about it. Whereas other TGS events have been embodied by excellent phrases like "GAME: Dancing Your Heart" and "Game, it's so energetic!" this year's slogan is "GAMES: Limitless Evolution," which is lacking a certain je ne sais quoi. 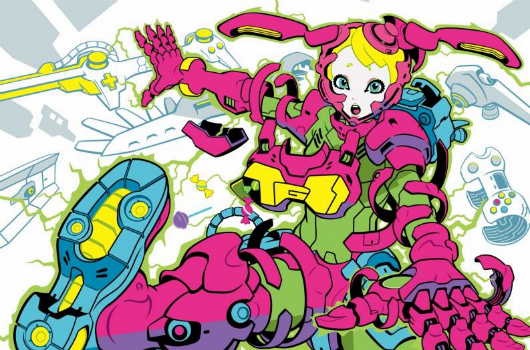 Japanese artist Ippei Gyoubu's female personification of the event (full-size here) is as fantastic as ever, though: "In this year's main visual," the announcement reads, "character 'She' who is the core of games wears a wide variety of devices and tools as parts and she is now going to transform herself into 'something' beyond the reach of imagination to dynamically represent 'GAMES: Limitless Evolution' which is the main theme of Tokyo Game Show 2013." The conference will take place between September 19 and 22 at the Makuhari Messe convention center in Chiba, where officials expect an estimated 200,000 visitors. Last year, the Tokyo Game Show broke its previous attendance records by drawing a total of 223,753 folks over the course of four days. 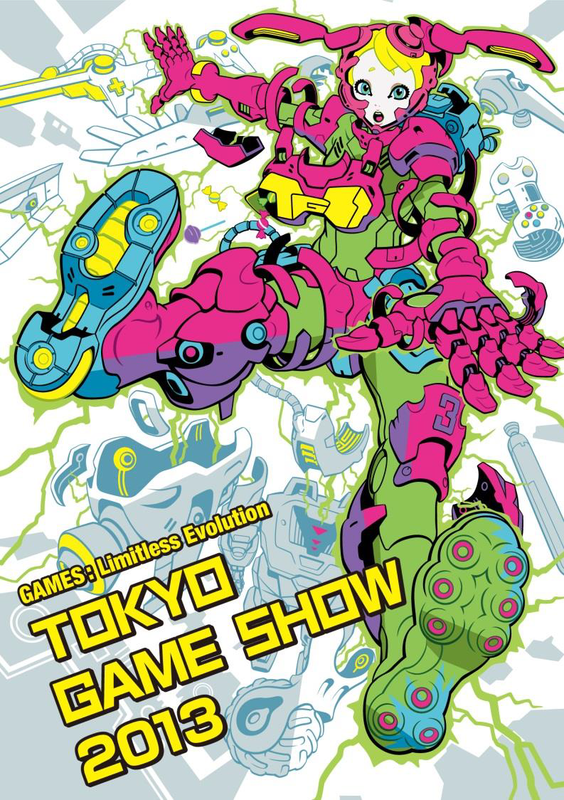 Tokyo Game Show theme this year is 'GAMES: Limitless Evolution' originally appeared on Joystiq on Thu, 30 May 2013 19:30:00 EST. Please see our terms for use of feeds. Quantum Break will reportedy "blur the line between television and gameplay," furthering the focus on TV that Microsoft emphasized at their Xbox One reveal last week. Remedy is no stranger to the format, however, experimenting by structuring Alan Wake's single-player mode as a series of "episodes". Alan Wake and Max Payne are both some of my favorite games, so no matter what Remedy does I'm excited. There's been a lot of backlash against the Xbox One since its reveal, but Quantum Break has me truly excited for the system. I hope we learn more at E3.